So you’re on tkmaxx.com, you’ve chosen the perfect fashion bargain and you’re wondering if there is a TK Maxx student discount to save you some money? We can confirm after research that there is currently no TK Maxx student discount for 2019. Is there a Student Discount at TK Maxx? Is there a TK Maxx NUS, Unidays or Student Beans Discount? There’s lots of different results when you try to look for student discounts in general and there are lots of different websites and offering advice – plus sales change all the time so it is hard to keep up. Never fear though, the mighty Squirrel is here to explain all. So…. 1. Is there a TK Maxx Student Discount? Currently there is no TK Maxx student discount, which is correct as of 2019. This means there are no promo codes available with UNiDAYS, NUS Totum or Student Beans. Never fear though, the Student Squirrel is here to save the day and show you that students can still save you money! 2. Is there a TK Maxx NUS, Unidays or Student Beans TK discount? We get asked a lot whether there is a TK Maxx student discount for the three websites above and the results are in. There is no NUS TK Maxx scheme at the moment for students to save. This includes not being included in the NUS Extra card scheme. At this time of writing ( September 2018 ) there is no tie in with Unidays. Are there TK Maxx Student Beans Discounts? Nope, there is no association between Student Beans and TK Maxx. Just because there is no TK Maxx student discount, it doesn’t mean that there are ways to keep on saving at this high street brand beomoth. Follow these fantastic savings tips below and you could cut your bill even further. All import if you’re student overdraft is running out! Check out the clearance page with up to 80% off fashion, homeware and gifts. Sign up to the VIP shopping for access to exclusive flash sales and events. Plus it’s FREE! Check out our regularly updated savings section for the latest promo codes and offers. Read our sales section below and hang on if a big one is coming for the biggest savings. The biggest sales happen around the same time each year and is where students can bag the biggest discounts. Check the dates below as if one if coming up it might be best to hold on. Even though there are massive savings every day, TK Maxx has a Black Friday sale. They even have a dedicated webpage for it. They typically have ‘branded menswear, top label womenswear, designer accessories, branded electricals, beauty and much more always up to 60% less’. Yup, they do participate in the sales around Christmas, Boxing Day and extend into the January sales. The savings don’t stop there though students. Read on to get some more excellent savings tips at this beloved store! So unfortunately there isn’t a TK Maxx student discount NUS code, but there are short term promo codes that this fantastic card maker releases every so often. Take a look at our savings section which will list them all there. Whether you know it as TK Maxx, TJ Maxx or TJX, you’ll understand that TK Maxx is the undisputed home of designer clothing bargains at its well-stocked (and often a little overwhelming) stores. If you appreciate the quality of a designer label but don’t have the appetite, or the funds, to splash the cash on couture, TK Maxx is the shop for you. A self-proclaimed ‘off-price’ retailer, the chain doesn’t indulge in sales, special offers or promotional prices; instead buying up designer clothing, accessories and homeware cheaply where it can and selling this onward for up to 60% less than its intended RRP (Recommended Retail Price). A common misconception is that TK Maxx are a designer outlet store, but this isn’t quite right; as they stock a huge range of brands and never limit themselves to a certain sector or collection. TK Maxx’s business model works by entrusting their Buyers around the world with full entrepreneurship; the ability to select beautiful and bold items they love, the freedom to negotiate great deals on them and the opportunity to import them into the UK to hit the shelves of a store near you. This unique approach allows the chain to stock a brilliant variety of brands and items year-round, rather than waiting for seasonal collections to be released and then selling them alongside everyone else when they’re allowed to. However, this sales method does mean that there’s no stock replenishment: once it’s gone, it’s gone, so if you see something you like, you need to snap it up right away as it’s unlikely to be in-store again. Whilst you can buy many of TK Maxx’s available ranges online, their stores are designed specially to accommodate their ever-evolving product collections, with no defined barriers or walls between departments – allowing shops to continually move around their items to fit in. It does mean, however, that you’ll need to double check whereabouts you’re headed in the shop, as things move around a lot! It’s often thought that TK Maxx can be a bit wasteful; buying up out-of-season clothing, not displaying them in the traditional way for sale, and heavily discounting their prices can give the impression that the chain is trying desperately to get rid of stock. However, this really isn’t the case. It’s just the way they work! TK Maxx is an ethical and socially responsible business. Having raised over £32m for Cancer Research UK, you can donate old clothing to the charity through their bricks-and-mortar stores and the brand often stock charity merchandise for causes such as Comic Relief and Sports Relief. Sure, TK Maxx isn’t your standard traditional designer label shopping experience – but it offers much more and is worth investigating if you’re a dedicated bargain hunter looking for a great buy. Student Discount Squirrel (or should that be Student Designer Squirrel?) firmly approves! Accessory designer Kurt Geiger is by no means a budget brand label, so you’re bagging a real bargain with these discounted shades! The classic aviator shape of sunglasses is aimed at women but are essentially unisex for wear and the quality and finish is exactly what you’d expect from a couture fashion house. A case is included for safe-keeping when they’re not on your nose, to best protect the thick black rims, 55mm lenses and narrow silver tone arms. A wardrobe staple, these sunnies will see you through this summer and beyond. Good pants are worth their weight in gold, for both washing and aesthetic reasons… so if you can buy designer briefs at high street prices, it’s really win-win. This three-pack of pants comes in at under £15 and is available in a variety of sizes, styles and colours to suit all. Machine washable and made of 95% cotton for comfort (the other 5% is elastane for the nice gentle stretch you’d expect), this underwear set offers high quality and easy maintenance – and they’re easily recognisable as yours in a load of mixed washing! This cosmetics organiser is a must-have whether or not you use a great deal of make-up or bathroom products – so listen up! A few days into having to share your university bathroom, you’ll quickly realise that nothing is sacred and there’s a frustrating cycle set firmly in place for the next few years of losing bathroom essentials and then quickly realising that one of your housemates has used them. This purchase organises everything bathroom-related neatly and makes it immediately obvious when something is missing or running low. You’ll never lose a tube of toothpaste, bottle of shampoo or earring again. TJ Maxx, the American version of the designer store we’ve come to know and love, was founded in 1976 by Bernard Cammarata in Massachusetts, USA, buying up a small chain of discount household item shops. 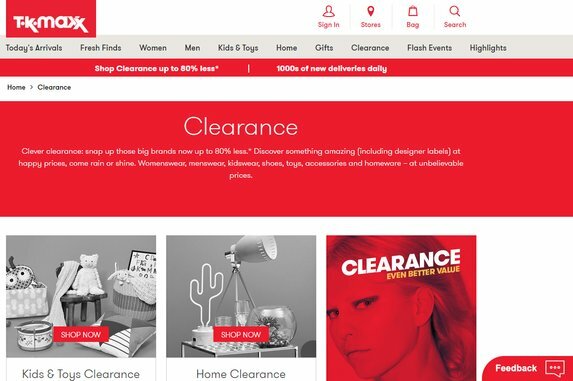 The chain grew in popularity and quickly launched around the globe, but under several different monikers – including TK Maxx in the UK and Ireland, to avoid confusion with the already well-established high-street chain TJ Hughes. 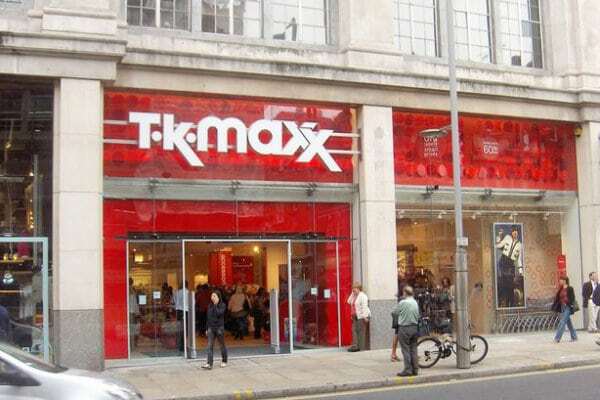 It wasn’t until 2009 that the online store was launched and from here TK Maxx took a stand with heavy television advertising and expansion of its stores throughout the UK to better establish itself as a household name. Indeed, at the same time, TJ Hughes declined in popularity and decreased its high street presence from 57 shops to just 20. Now, you’ll find branches of TK Maxx, or one of its other similar names, worldwide in territories including the UK, USA, Canada, Poland, the Netherlands, Germany and Australia. The chain continues to grow from strength to strength as consumer expectations demand continually high quality at low prices, and their e-commerce offering expands its delivery services globally. We hope you have enjoyed reading our TX Max savings guide and found lots of ways to save! In was founded in 1976 by TJ Maxx! In 2007 and 2009 TK Maxx was an active participant of Comic Relief being the only retailer to sell the official t-shirts! They also run the “Give Up Clothes for Good” campaign!